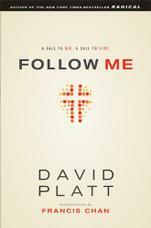 What did Jesus really mean when he said, “Follow Me”? 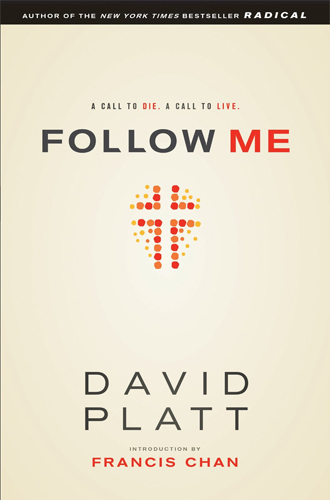 In this new book, David Platt, author of the New York Times bestselling book,Radical: Taking Back Your Faith from the American Dream, contends that multitudes of people around the world culturally think they are Christians yet biblically are not followers of Christ. Scores of men, women, and children have been told that becoming a follower of Jesus simply involves believing certain truths or saying certain words. As a result, churches today are filled with people who believe they are Christians . . . but aren’t. We want to be disciples as long as doing so does not intrude on our lifestyles, our preferences, our comforts, and even our religion. Revealing a biblical picture of what it means to truly be a Christian, Follow Meexplores the gravity of what we must forsake in this world, as well as the indescribable joy and deep satisfaction to be found when we live for Christ. The call to follow Jesus is not simply an invitation to pray a prayer; it’s a summons to lose your life—and to find new life in him. This book will show you what such life actually looks like.